"The commitment Americans have made, and will continue to make, to the Peace Corps is not an open checkbook. To be sure, Americans are a kind and compassionate people. But, they, too, expect that kindness and compassion will be more than empty gestures and inspirational prose. I don't know what the answer is for developing a process for greater accountability - but, we need to be creative and determine what can be done to measure the success of the Peace Corps. I think that's important. I love the altruism of the Peace Corps - I also love pragmatic altruism - we should find a way to combine both, and, in the process, strengthen the argument with policymakers as to the long-term future of the Peace Corps." Thank you, Director Vasquez and the good people of Peace Corps for inviting me to start your day with you. It's a privilege. I do think there's something special about the Peace Corps and about this concept of commitment to service. What service means. As the Director stated, I have recently taken on a challenging assignment: Chair of the Western Hemisphere, Peace Corps and Narcotics Affairs Subcommittee. My first job is to find out who put those three subjects together and why? In 1960, John F. Kennedy envisioned the possibilities of the Peace Corps to build a better world. In a young President's mind, the dream of thousands of American young men and women crusading across the globe to export Democracy and to ease human suffering and despair became a reality. Today, the Peace Corps is a living, breathing testimonial to the power of compassion. 169,000 Americans have served in the Peace Corps in 136 nations. The budget of the Peace Corps stands at $317 million for FY 2003 - and for FY 2004, the President has proposed a budget of $359 million. I fully support full funding for the President's budget. We are working very hard to get it through this Congress. I want to address some things practical - and some things hopeful - and some things inspirational, if I may, this morning. I'm a former Mayor - and as a Mayor, I became adept - some would say obsessed - with the concept of outcomes and accountability. In the City of St. Paul if it snowed one day and the streets were not plowed that night, when you went to buy a loaf of bread the next morning you heard about it. It wasn't what you said, it was what you did. While it may be difficult to measure, in human terms, the outcome of a commitment of a volunteer to improve the lot of other people - it is not difficult to measure, in real terms, the impact of our efforts to instill in others the ability to do for themselves. There's something to be said about giving people fish - there's something more to be said, a lot more to be said, about teaching them to fish for themselves. The commitment Americans have made, and will continue to make, to the Peace Corps is not an open checkbook. To be sure, Americans are a kind and compassionate people. But, they, too, expect that kindness and compassion will be more than empty gestures and inspirational prose. I don't know what the answer is for developing a process for greater accountability - but, we need to be creative and determine what can be done to measure the success of the Peace Corps. I think that's important. I love the altruism of the Peace Corps - I also love pragmatic altruism - we should find a way to combine both, and, in the process, strengthen the argument with policymakers as to the long-term future of the Peace Corps. I truly want to be your number one fan. I believe so deeply in your mission, your commitment and your operation, I want to build upon that sense of conviction through a solid ability to reflect on the work that you are doing -and the good it achieves. Can one person hold you accountable and be your number one fan? I'm going to do my best. Did Tiger Wood's Dad love his son? Did he push him relentlessly to be the very best he could be? Of course he did. As Chair of this subcommittee I will push you even as I cheer you on. It may be the toughest job I'll ever love. Of all the magazine covers I've seen over the last twenty years, the single best may have been a late September cover for Newsweek in 2001. It bore the question "Why do they hate us?" It expressed the bewilderment of many Americans over the September 11 attacks. By now we all have a much better answer in our own minds than we did then. On the one hand, some hated us because they didn't know us. They had been sold a caricature of America that exaggerated our flaws to mask our strengths. In this bi-polar war, they saw us as valuing peace with the Soviets over justice in their corners of the world. That impression is beginning to change, I hope. We have a whole lot of work to do to show the world the real America. We are, for the first time in a long time, the world's only Superpower. You have to think about that in historical terms, you may have to go back to the times of English dominance of the high seas, of Spanish dominance, of Portuguese dominance - periods in which there wasn't a countervailing power. The Soviet Union is no more, the Berlin Wall is gone, we are the world's only Superpower. Our military might is unquestioned - and our ability to project that military might is unparalled in the history of the world. And, as the world's only superpower, we can do a lot of things we could do before. But I think it's important to reflect that with that power comes a sense of responsibility. We don't use our power to gain oil wells or diamond minds or farm lands. We use our power to free people from tyranny and establish democracy. It's important to use and to show the heart of America. Our military might is just one weapon in our arsenal of democracy. America has something else in its arsenal: its heart. And that's important. In the United States, USAID, we lead the world in fighting the terrible tragedy of global hunger. President Bush recently made a $15 billion commitment to fight global AIDS. I have a deep personal reason for being involved in that fight - it's important. And I deal with some of my friends in the AIDS movement who at times question that and say, "Well it's only words." Those are pretty good words, it's a pretty good commitment. And when you make that commitment you challenge others to follow through. The question is, "Will the Congress follow through?" And I've got to tell you, when the President says he wants something he's pretty good at getting it, and thank God he says he wants this. Thank God he says he wants the United States to lead the world in the fight against global AIDS. 20 million people have died of AIDS. 40 more million will die no matter what we do. This little virus will take another 40 million lives - think about it. And if we do nothing, if we don't make big steps, if we don't move forward, countries like India and China and Russia are just beginning to see the impact and if they don't do the right thing, if they don't look at the things that have worked such as in Uganda, then the spread will be even more severe. And we have an interest - farmers in Slayton, Minnesota have an interest in fighting global AIDS. They have an interest in making sure that whole sections of the world are not destabilized by the impact of this little virus. The American people have shown, time and time again, that their hearts are large - their kindness immeasurable - and their compassion enduring and real. The Peace Corps is America's heart - worn on our sleeves - in countries across the world. Well, it's Dietrich Roggy, from Minnesota, who was serving as an urban water sanitation and environment volunteer in Cote d'lvoire. Dietrich was evacuated when violence flared in that country. However, Dietrich is so committed to the ideals of the Peace Corps, he turned down a six figure job with a high profile environment and engineering consulting firm so he could serve in Jamaica. As we bring to the people of the world our democracy and our passion and our people - we must remember something else. The people we encounter have their own stories to tell - their own hopes and dreams - their own convictions and beliefs - their own ideas for what the world should look like, and what their place in it ought to be. As we embark upon missions of peace and hope, we must be mindful of our obligation as strangers in a strange land to listen. It's not just about exporting our values, it's about listening. It's about having a common vision about how to make life better. Common vision - very important concept. I love to tell stories to remember concepts. One of the stories is about Andrew and Mrs. Carnegie, very generous folks who gave away a lot of money. The story goes that every year Mr. Carnegie would pay the deficit for the New York Philharmonic - he would simply write a check. One day the Secretary of the Philharmonic came to Mr. Carnegie and said, "Mr. Carnegie, our deficit this year is $60,000, would you take care of it?" Carnegie was about to write a check by himself when he said, "Mr. Secretary, why don't you go raise the other $30,000 and then I'll give you $30,000?" Shared vision, get it done together. The Secretary said "no problem" and comes back the very next day and says, "Mr. Carnegie we've raised the other $30,000 will you write your check?" Mr. Carnegie said, "Absolutely" and is about to hand it over to the Secretary when he asked, "By the way, Mr. Secretary where did you get the other $30,000 from?" The Secretary's answer: "Mrs. Carnegie." I tell you this story just to make the point that it's about shared vision. If you work with someone and you share the vision, it doesn't matter the nature of the relationship, you can get great things done. And we have a shared vision in the places we go. It's not just about us. It's not just about us looking in the mirror and telling folks who we are. It is about listening. Much has been made of our ability to project our beliefs and our ideals - let there also be much made of our willingness to listen. Commentators abound in America who have their opinions on why the rest of the world thinks the way they do about Americans - talk radio is full of others who have their theories on why people feel the way they do about us. The Peace Corps has the ability to find out why people feel and think the way they do - by simply listening. It's not always about us - it's important to learn from your experience. Third point is our investment in the Peace Corps: A low cost commitment to a better world. I was thrilled to hear the President say something in the State of the Union which no one is criticizing: that we need to double the number of Peace Corps volunteers in the field in the next five years. We not only need to increase funding to meet that goal, we need to optimize planning, recruitment, training and placement so that the effectiveness of the Peace Corps more than doubles as we double the number of volunteers. The Peace Corps is one of those magical creatures of government that we see rarely in this day of partisan bickering. It has bi-partisan support. The ranking member of my subcommittee is Chris Dodd - Democrat from Connecticut, former Peace Corps member and is passionate about the Peace Corps. Democrats and Republicans agree on the Peace Corps - and Democrats and Republicans have served in the Peace Corps - and Democrats and Republicans must continue to work together to build and strengthen the Peace Corps. "There is not enough money in all of America to relieve the misery of the underdeveloped world in a giant and endless soup kitchen." "But there is enough know-how and knowledgeable people to help those nations help themselves." My goal, is to build upon the success of the Peace Corps - and to give it a face in the future that I believe will, accomplish in greater measure, the mission of the Peace Corps for the next 40 years. Today's Peace Corps is predominately female - 61% of volunteers are women - 83% of Peace Corps volunteers are between the age of 20 and 29 - with only 4% of Peace Corps Volunteers being baby boomers between the ages of 50 and 59 - and 73% of volunteers are non-minorities. I am very proud to note that since 1961-4,882 Minnesotans have volunteered for the Peace Corps - and in 2003, four colleges in the State of Minnesota are on the national list of top Peace Corps volunteer producing colleges and universities. And we're proud of that in Minnesota. The great strength of the Peace Corps today - 40 years later - is that the melting pot of America is more diverse and more reflective of the power of America's immigrant heritage. What better way to strengthen the Peace Corps than to make its foundation reflect the international flavor of diversity that built America? And, what better way to pay tribute to the hopes and dreams of a generation of youth - inspired by the vision of a young President - my generation - than to engage more and more of the "baby boomer" generation to be involved in the Peace Corps? The youth who heard the call of the President in 1960's are today's parents, business people, elected officials and leaders of the faith community. While the years may have passed by since that clarion call was issued, I believe there are many whose hearts are no less full of that hope, love and compassion they felt in their youth - and who, today, can help bring peace to the lives of millions of people. I think there is a great opportunity here for "baby boomers." The passion and the words that inspired you doesn't dim. Your hearing might not be as good - I was a roadie for a Rock n' Roll band and I paid a price for that. But I can still, internally hear the message, feel the message: it's the sense of involvement. And so many of us are in a position today to make a difference, and we need to reach out. The Peace Corps has made progress to that end. Since President Bush's commitment to expand the Peace Corps, there has been more than 30 percent increase in requests for applications and more than a 10 percent increase in minority applications. More can, and must, be done. I would like to see more seniors involved in the Peace Corps - more married couples - more minorities - more baby boomers - more Americans. I truly believe that Americans are, as Lincoln said, the "last, best hope of humanity." Americans like Jack Conrad, a fellow Minnesotan who served two terms as a Peace Corps volunteer in the '80s in Swaziland and in Togo. Jack is a computer scientist in the Twin Cities now, but he's typical of many returned volunteers in that he's remained intimately involved in helping improve conditions through a group called Friends of Swaziland. Yet Jack Conrad takes more satisfaction in the stories of children like Joseph Zwane, whom he taught while a Peace Corps volunteer. Joseph used to walk eight kilometers a day, often after plowing or doing other farm chores, just to get to high school, where Jack taught math and science. He didn't know it at the time, but Jack also taught Joseph Zwane how to "fish." Today Joseph is a medical doctor in Swaziland, a country battling the scourge of AIDS and the effects of famine. And God only knows how many more Joseph Zwane are waiting to learn to "fish" with help of today's Peace Corp volunteers. Nobody puts a better foot forward than America. Nobody puts a better foot forward for America. Nobody represents a truer portrait of who America can and should be. Nobody can do that better than you, the United States Peace Corps. I'm ready to be your advocate, I'm ready to be your cheerleader, your coach and your hard-grading teacher. The importance of the work we are about together demands no less. My favorite all-time quote is by a Spanish Jewish philosopher, Mainomedes: He once said that "Each of us should view ourselves as if the world were held in balance and any single act of goodness on our part could tip the scale." And as a Mayor I understood that. In St. Paul, Minnesota we built a $170 million hockey arena to bring back a national hockey league franchise to St. Paul. That's a big thing to St. Paul - it wasn't all about hockey. In St. Paul if you bring back a hockey team to the city after it left and you can walk on water. Now, in St. Paul, Minnesota you can walk on water six months of the year anyway because it's frozen, but it's still a very big deal. St. Paul is on the beginning of the headwaters of the greatest river system in the world - the Mississippi River - and we did $2 billion of new development on the river. And all those things are things that mayors are proud of - AAA bond ratings and no increase in taxes. But as I look back on my eight years as mayor the thing that I'm most proud of was the measure of the human spirit. When I got elected over half of the people in my city wanted to move to the suburbs. And when I left office over 70% of the people felt good about the direction of the city. And what that meant is that people had a sense of optimism, they were engaged. The great strength in the world, the great strength in America is not its institutions - institutions don't do things - it's about the people. The Peace Corps is about the people. And if we can engage more Americans to believe what Maimonedes said - that each of us has the ability to change the balance in the world. You touch one soul and you change the world. Who knows what kid out there, somewhere maybe in Sub-Saharan Africa, who might find the cure to AIDS because Jack taught him how to fish, taught him how to read, taught him math and sciences, and then he became a doctor. You have the power being involved in the Peace Corps to change the world. Only God knows the outcome of that. What God demands of us then is to do our best, to give all that we have, to believe that we have the power to change the world just by touching one life - and you touch one life at a time and the whole world has changed. You are doing it in the Peace Corps. You are doing it with folks who are standing up and raising their hands. Count me in as a champion to work with you, to get it done, to be there to make sure that you have the resources. But in the end you have to carry to ball, you've got to get out there, you've got to engage more, and you've got to get out there and change the world. I'm with you. Thank you and God bless. Note that this is the actual transcribed version of the speech and reflects some substantial additions to the original text of the speech that we published at: Original Text of Senator Coleman's Speech Thanks to Tom Steward for providing PCOL with the transcript of Senator Coleman's speech. 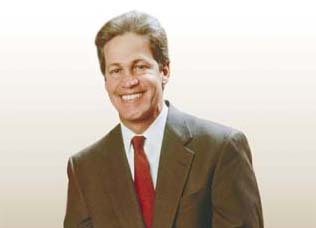 Senator Norm Coleman was elected to the United States Senate in November, 2002. Coleman serves on four committees including the Committee on Foreign Relations, the Agriculture, Nutrition, and Forestry Committee, and the Committee on Small Business and Entrepreneurship. In addition, Coleman is Chairman of the Permanent Subcommittee on Investigations. 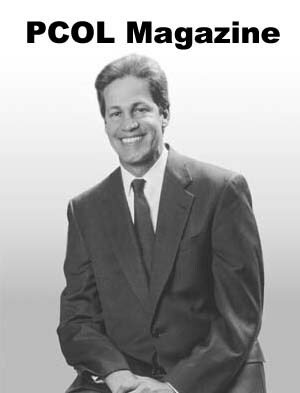 Before he was elected Senator, Norm Coleman was Mayor of Saint Paul for 8 years. As Mayor, Coleman led Minnesota's capitol city through a remarkable renaissance. Since 1993 there have been more than 18,000 new jobs created with more than $3.0 billion of new development. As Mayor he kept his commitment to a zero percent increase in the property tax levy for eight years in a row, and Saint Paul received its first 'AAA' bond rating...unprecedented in the city's history. The value of taxable property in the core downtown has more than doubled, and every neighborhood has seen an increase in property value. In 1997, Coleman secured a National Hockey League franchise for the Capital City. The Minnesota Wild dropped the puck in September 2000 at a new state-of-the-art $175 million arena. He helped create a new $90 million Science Museum of Minnesota which overlooks the majestic Mississippi River Valley and brought Lawson Software, Minnesota's largest software company with over 1,000 jobs, to downtown Saint Paul. New and expanded businesses are emerging both in the downtown core and in neighborhoods throughout the city. In addition to economic development, Coleman made public safety a priority while serving as mayor. By adding 40 police officers and working with neighborhoods, the City expanded community-based policing. The result has been a drop in the violent crime rate since 1993 and more confidence in the community about the safety of its neighborhoods. Education had remained a cornerstone of his administration. Coleman used his position to bring more accountability, additional resources and needed change in our public schools. By working closely with Superintendent Patricia Harvey, they forged exemplary models of choice and parental involvement through traditional public school programs, as well as innovative charter schools. As home to the nation's first charter school, Coleman has championed education reform, leading an initiative to bring 20 new charter schools to Saint Paul. Coleman also helped in the planting of over 35,000 trees and shrubs along the urban corridor of Mississippi River. He was instrumental in recapturing brownfields and creating new uses for once-discarded land. His Upper Landing housing development serves as a national model of urban renewal on a once blighted land. The Upper Landing project, in partnership with the Centex Corporation, will bring nearly 800 new units of housing, with 20% of those deemed affordable, to a former scrap yard along the shores of the Mississippi River. Coleman has created a national model for building public/private partnerships. He brought together the top 20 CEO's of the region to create the Capital City Partnership, which is committed to promoting, marketing and developing Saint Paul. In January 2001, Mayor Coleman received the United States Conference of Mayor's Award of Excellence in Public/Private Partnerships. In addition, Coleman has been recognized by the Woodrow Wilson International Center for Scholars with their Award for Public Service. Coleman served as Chair of the George W. Bush campaign in Minnesota. He served on the Board of Directors of the United States Conference of Mayors and was a charter member of CEO's for Cities, an alliance of Mayors, corporate CEO's, and nonprofit executives focused on market-based approaches to revitalizing urban centers. In 1993, he was elected Mayor of Saint Paul, as a conservative Democrat. In 1996, he joined the Republican Party and was reelected in 1997 as the first Republican Mayor in Saint Paul in over 25 years, receiving nearly 60% of the vote. He carried the Republican banner for Governor in 1998, narrowly losing to Jesse Ventura by 2% . Coleman was born in Brooklyn, New York. He received his B.A. from Hofstra University and his J.D. (with high honors) from the University of Iowa. He served 17 years with the Minnesota Attorney General, holding the positions of Chief Prosecutor and Solicitor General of the State of Minnesota. Norm and his wife Laurie have two children, Jacob and Sarah. I was an early PCV from Minnesota and shared correspondence with VP (and Minnesotan) Hubert Humphrey when I served in Gabon. It was Humprey, in fact, who originated the concept and suggested to JFK the start of the Peace Corps. Norm Coleman is no Hubert Humphrey. The Peace Corps does not need to justify itself to Fed bean counters. I don't think he really gets what the Peace Corps is all about and what impact it has had and is having around the world. More importantly, why so many pictures of Norm? Sorry. Humphrey was not VP when I was in Gabon. He was the senior Senator from Minnesota. I actually worked for Humphrey when he was VP for a brief time when I was a Management Intern in the Executive Office of the President, along with Paul Wolfowitz. Paul was getting heat from his draft board so left and went back to school to get his deferment. The rest is 'sordid' history. Yes, I'm ultra-pissed where this Administration has led us and even more pissed that no Democrats other than Byrd and Grahm have had the balls to call it like it is. BTW, if it wasn't for a terrible plane accident in Minnesota (death of MN Senator Paul Wellstone), Norm would be just another loser. The guy even lost to Jesse Ventura! Narrow policies of "accountability" have torpedoed development work for ages. I remember USAID people in the 1980s complaining that truly helpful long-range projects couldn't get funded because they would not show the short-term results that legislators want. Short-term projects (especially building something BIG) looked better on political resumes, even if they actually made the "beneficiaries'" lives worse. Accountability is already in place: the people in the host community will give the PCV better treatment if they seen the American as a good neighbor and someone who cares about doing a good job. Introducing accountability components to persuade policymakers sounds like trouble. If some people in Washington don't value the Peace Corps already, that is no reason to reshape the PC in their image. Expanding the Peace Corps is not as important as being true to its goals. The "why do they hate us" rhetoric doesn't make sense. (After 9/11, there were street demonstrations in Teheran in sympathy for America, remember?) "They" are no more uniform in character or opinion than "we" are. (Look around the table at Thanksgiving!) Maybe we need to do some "third goal" work with policymakers: as long as people in Congress are using "us"/"them" language, RPCVs have work to do at home. The emphasis on accountability seems like the latest business-magazine trend--the notion that organizations will be more efficient if fear is exploited as a motivator. I think it is counterproductive. I believe that the question underlying this issue is too abstract to pay attention to. We need to reframe the question away from an entity known as the Peace Corps toward the real minds and bodies of the volunteers of the Peace Corps, and toward the accomplishments of their individual presences in the world. It's ironic that Senator Norm Coleman raises what I consider to be too abstract a question around delineating his own noteworthy, praiseworthy, laudable individual accomplishments. In this irony is the lesson or direction that we need to be following as we speak to the members of Congress. Let me explain what I mean. I first encountered this practice of outcomes, measurement, and accountability in 1966 at the end of my Peace Corps assignment when Washington sent two former volunteers, then working in PC Washington, to debrief us. We all sat in a circle more or less in a huge room and were invited to express to our heart's content what we felt about our experience, our host country national colleagues, the host country itself, and the local Peace Corps staff, etc. However, we were not able to give information in a free-flowing way, which is what I had expected we would be doing. We had to respond to a set of pre-prepared questions. I pesonally found this very frustrating, in ways that during this period of my life before graduate school I did not have words to describe. Now that I now have the experiences I have as an academic, facilitator, trainer, and administrator, I have a more objective understanding of the need to control the flow of narratives that others hand us and am therefore no longer self-innoculated against the visual presentation of goals, strategies, objectives, outcomes, and measurements. There is a place for these instruments in our bureaucratic lives. However, I believe that there is a greater point that we need to get and that is that the above descriptions of Senator Nore Coleman's accomplishments, and the very personal narratives that he himself can engender, speak to and of the man -- to and of the person himself. Accountability in this sense rests with the individual, with the man or woman who is empowered to do good and worthwhile things. It is our hope therefore that the Peace Corps as well as the nation will always have sons and daughters of this sort. The measurements must then be of individual accomplishers. When individuals accomplish good and worthwhile things, their collective goodness reflects back on the whole gestalt, on the nation as a whole. One does not need to boast about America when one speaks of its individual citizens. We therefore do not need to sweat through adding up boasts about the Peace Corps as long as we regale the accomplishments of individual volunteers. The issue for me is therefore not the Peace Corps, for it only needs to be a presence in the world in as many nations as we can plant it. We must teach Congress not to see an abstraction called the Peace Corps but to see the concrete accomplishments of its individual volunteers all over the world. When I Stateside praise or critique, I do not praise or critique Congress, I praise and critique individual members of Congress. Ankrom (7/29/03; 10:33AM) said it best above when he said, "Accountability is already in place: the people in the host community will give the PCV better treatment if they see the American as a good neighbor and someone who cares about doing a good job." Please find here a copy of a the letter I will send to Senator Coleman. I am also sending a copy to my congressional delegation and senators and every publication I can reach. I appreciate the comments which have already been posted. I urge all RPCVs to contact their Senators and Representatives and share with them your thoughts on accountability. I believe that this August recess may be the last time that RPCVs have the opportunity to directly influence the debate. I don't want this incredibly important issue of accountability to be reduced to the TV talking heads' blather ... "Don't those peace corps kids know there is a war on...let's stamp out those Kubaya campfires." Thank you for calling for increased accountability for the Peace Corps. First, it is important to define who is to be held accountable. The United States Peace Corps is manned by federal civil service employees who act with administrative authority to spend money and direct employees. This agency should be the locus of any accountability measures. Volunteers are Americans who are deployed by this Agency. Volunteers are not employees. The ability of Volunteers to do work is a function of training; selection; placement and support. All of those activities are the responsibility of the United States Peace Corps agency and the agency should be evaluated by measuring outcomes of all of these activities. The clarity of the Kennedy vision even today makes it easy to restate the accountability framework; consistent with the three goals he created. What percentage of requests are filled? nation, according to evaluation by that nation? NOTE: Reducing the attrition rate should be a future goal but set only after congressional hearings have been held to investigate the myriad problems described on the independent website -peacecorpsonline.org - suffered by serving PCVS and RPCVs. These problems, involving the provision of medical and other support services, appear to be so pervasive through time and space, that congressional hearings are in order to determine if legislative remedies are necessary. The most important responsibility of the United States Peace Corps agency is to ensure its continuing independence so that the American Peace Corps volunteer does not appear to be other than what he/she says he/she is. Legislation is needed to make explicit what is evidently now only tradition and that is that the Peace Corps-its staff and volunteers will not engage in �intelligence gathering activities.� Such legislation should also prohibit other United States employees - civilian and military-from claiming a nonexistent relationship with the Peace Corps. 1) All returning volunteers be debriefed, extensively, by qualified technical personnel as part of program evaluation and that such data be systematically archived and made available to the public. 3) The funds for RPCV activities, designated by Congress, be fully used for that purpose. Beautiful Joey, That is the Peace Corps Spirit. I am photocopying my past proposals and my suggests which some are very similar to your own. I think they will listen with paper work coming their way. Recently, I have had alot of luck on the hill with these issues. People are finally listening. You GO for it Girl! Just Kidding. Peace Corps is very accountable (the band, etc.). The financial results are there and so are the programs results. Peace Corps has been around over forty years and maybe it is time to end it. It is not something that should be replaced, but, we could work out of Universities, Think Tanks, and get our Masters and Doctorates, etc. through other programs. Peace Corps does not need to exist because most of the Volunteers are not there in the interest of helping people. They have there own motives. Peace Corps is a federal program which is the only reason most of these people volunteer. Please check the track records of the PRCVs. Cancelling Peace Corps is not a new idea. It may be that it is just time to have this done. You guys always throw that scare tactic out there when hearings on these issues may come. You should indentify yourself as an RPCV. The Program's results are good in terms of serving others in developing countries and providing a relationship building organization. You must have worked for Peace Corps when Nixon was in office. You know these are the real problems at Peace Corps that need reform. That Government program arguement is for the birds. Insurance Companies act as governments in our country with health care, Municipal projects are government programs and if the government wasn't involved in this economy we would be in a depression. Don't start that stuff. You joined Peace Corps and a Democrat started it. That idea above as Robert Byrd would say is "bunk". That what it is "bunk". Hearings are still coming and some will be held accountable. Are you one of these people? Also, I would have to agree with Bob Utne. The Pictures of Norm are like he is campaigning on your website. Besides that, we know he is involved with the money trail at Peace Corps. He is an Elected official and we will have to work with him. Norm, here is a suggestion not mentioned by Joey, who I agree with. You want more volunteers for recruits. More volunteers to fill positions. Between fifty to sixty thousand volunteers have gone through training and served, but did not finish for some reason or another. Resolving their separation issues would free up alot of individuals who want to complete their service. Also, more volunteers will join when they are not at risk of being placed alone at a particular site. Many safety issues have arisen when a volunteer serves by themselves. If this is totally not possible, Peace Corps should be assigned the task of monitoring those sites more carefully and have them live with a host family which is a model in that village. Resolving the past , can bring a bright future for Peace Corps. Although "piling on" in an electronic forum can irritate readers, I want to second Joey's thoughtful and clear-sighted posting. Please consider my earlier remarks an anticipatory "amen" to her message. Why increase the perception of accountability? What's wrong with the Peace Corps? Based on volunteerism, how can it be "accountable"? Will anyone read this other than RPCVs? With those questions in mind, what the senator seems to be advocating is an SAT exam for the Peace Corps- converting it from a volunteer opportunity to a Junior USAID. As such, "accountability" reform will be the standardized testing that will stifle implementation of the first goal and eviscerate the second and third goals. An "accountability" reform impact on the first goal would be to force mostly round pegs into square holes. First, it will require teaching that concept to host country nationals as part of its implementation (and then who's going to make THAT process accountable, and then who's going to make THAT process accountable, etc.) If we measure first goal accountability, then how do we know the host country isn't getting something better and ultimately of more value than what they asked for or we tried to deliver? Or, worse yet, what if a volunteer doesn't do what he or she otherwise would have in the absence of "accountability" measures and that undone activity would have benefitted the host country far more than the intended outcomes? The goals and milestones of current Peace Corps projects are purposely written so as to strike a balance between broadness and narrowness to both give guidance and allow for implementation in as wide a range of ways as possible. There's no way to simutaneously allow for diversity (both as static traits and as process) fully and be specific enough to articulate easily quantifiable outcomes. But, I think it is the second and third goals that require the rejection of "accountability" reform. While the first goal will suffer by diverting volunteers' attention from the dynamic opportunities that arise during service by focusing too heavily on THE OUTCOMES, the second and third goals will have little meaning in an accountability-centered universe. Volunteers will be too busy with "Just do this this way so I can put you down on my list as a 'success' so that I can stay here" to bother to get to know people. Even if this happens just to a small degree, motivations are easily picked up on and host country nationals will get the impression Americans are only result-oriented rather than good people. In terms of measurement, how do you measure the personal impacts volunteers have on their host country nationals or on Americans as RPCVs? For example, how do you measure (and for how long) the effects of a white person living in an all-black township in post-apartheid South Africa? In the end, isn't the impression that "you're not like the people of your color who have persecuted me and my family for decades" worth far more than any skills actually transferred to the host country nationals? Isn't it the personal contacts that have the biggest impact on the volunteer, the host country, the United States and the world? A PCV/RPCV becomes a conduit linking people around the world, creating markets for large US corporations, but more importantly fostering peace, harmony and a better world. How do you measure that? Am I supposed to give a survey to every person I meet and assess how they were affected by my RPCV-ness? Because, I know just as plain as day that I am different and that every interaction I have had and will have since service is influenced for the better by having served, but I don't know how and I'm sure nobody else does. The idea of increasing "accountability" mocks this and, personally, I'm offended (as if you couldn't tell!) You might as well try to correlate increases in Coke and McDonald's sales to Peace Corps programs to make them more "accountable" for goals 2 and 3. I think the Peace Corps is as accountable as it can be and still fulfill the spirit of the three goals. If there's proof that massive amounts of fraud, corruption and exploitation are taking place, I could see reforming the system. But, in an age defined by the risk of terrorism, volunteers unhampered to make the most of opportunities to form interpersonal connections are the world's best hope for making our global interdependence a success rather than a tragedy. Senator Coleman's speech and philosophy show why many in the city of St. Paul are very happy he no longer is Mayor there. If he wants accountability, he should ask the President of Peru about measuring Peace Corps output, success, value and worth. If Coleman insists on daily, weekly or yearly Peace Corps accountability, he should slip under his rock and go away. Does it look like the assumption is that Peace Corps the organisation, and PCVs, are riding on a free meal ticket for a fun time and free travel at the expense of hard working tax payers? Or does it feel like someone is looking for an easy target to build public image? It is appalling to hear a politician posturing about both accountability and growth of Peace Corps. These are not new issues, but where is the acknowledgment of how much change has happened? I humbly admit I get a little defensive. I served twice as a PCV and twice as a staff person, and once as a technical trainer. Between 1980 and this last spring , I can verify for a lot of changes implemented to improve training, placement, job development, and reporting (by both PCVs and staff). Staff performance, like PCV performance, varies a lot both with the individual and over time, so RPCVs will know that those changes are implemented differently. Some changes work well, some are horrible. Some of the changes have been flip-flopped like fish out of water, whether good or bad. That's part of being a learning and transitional organisation. Transition--the biggest challenge that Peace Corps faces is constant change --volunteers, staff, and political pressure are all changing every 2 - 4 years. Peace Corps is in the state of perpetual organisational change and that is exacerbated by the need to respond to these accusations as a form of accountability. If we want to truly address Senator Coleman's (and many others') challenge, how can we do that? Already in place: PC-Washington has more places on the PC website to showcase current positive experiences, and elicite specific Volunteer stories. They also put out, provided from the project managers, annual Project Status Reports that include numbers, and 'PCV vignettes' as examples. Last year, that office also put out a global annual summary that included strategic planning. For every 'post', every time there is an official visitor (usually from Washington DC) the entire office shifts into a dog and pony show to provide specific examples of Volunteers in the field who are living examples of Peace Corps' vision, and how things are going now. It takes time, and makes a lot of volunteers and staff crazy, but it's important for accountability. What other options are there? As I was reading through the latest issue of The Nature Conservancy's magazine, I came across a feature that suggests 'focusing on success stories instead of scare tactics,' to increase support. In their recent issue you can review short descriptions positive experiences done by region. Can that be done, and who should do it? Peace Corps the organisation, or friends of PC, or RPCVs? We are lucky to have these challenges that make us look back and assess how things are going up to now. Peace Corps from the beginning has given great opportunity to Americans to live and work as development agents. Thanks to pressure from RPCVs and PCVs, the organisation is constantly under pressure to get better at what it does. I think that the many PCVs returning as staff (yes, like me) also play a role in that. We have made progress in organisational performance, at staff and PCV level both. Again, how can we get that information-- of how PC is "accountable" --out to those who are not in the PC loop? Joey's letter is specific and right on target, and I would echo her encouragement for RPCVs and PCVs to communicate to their own Senator's and Representatives. Not just now, but on an annual basis. This challenge will keep coming, because a lot of people without experience (and some with) think PC is a glorified free-ride to play for two years. And, as per David's suggestion, how can we get them to hear from the many leaders in our host countries who value PC because they have participated as students, counterparts and trainers? organization tearing the true spirit that once lived in the heart of Americans completely apart. extremely serious and it will be exposed. exposer publically for your communist and subversive actions.